Forest Essentials is a pioneer in luxury Ayurvedic segment bringing the age-old beauty care secrets to the modern day people. Here you will find a wide range of products for facial care, hair care, wellness and bath and body care. As the name suggests all Forest Essentials products are made using organic cold pressed oils, rare plant extracts, herb infusions and steam-distilled pure essential oils. But since beauty comes at a price, Zingoy brings you the best deals and discounts on Forest Essential products, right here. 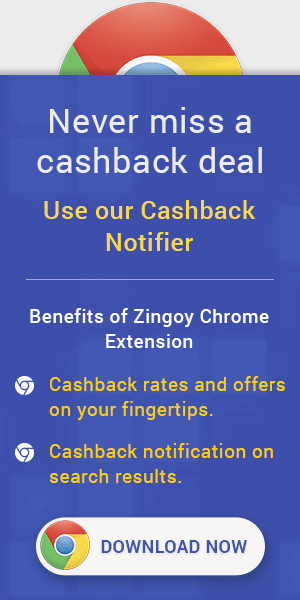 You can also earn superb cashback on almost all Forest Essential products, using Zingoy. Cashback is not applicable on bulk orders. Earnings from Forest Essentials can be redeemed as vouchers or in Bank account. This Eye Cream is an innovative formula specially designed for the delicate eye area. It reduces dark circles, diminishes puffiness, firms and tones area around the eyes. Active extracts of Papaya and Potato starch help deliver hydration and moisture to the delicate eye area. 100% Original & Authentic Products. This Hand & Body Lotion is enriched with caramelized sugar crystals that retain moisture on the skin and leave it soft, nourished and supple. This body lotion uses burnt Cane Sugar, a humectant that attracts and seals moisture into the skin. Ripe golden Honey with succulent warm Vanilla combines for a delicious fragrance. It is potent hair serum that strengthen the hair follicles, prevent hair loss and increases density of hair.It is easy to use, non- greasy and non-sticky. 100% Pure & Original. It has an exceptionally rich and light texture and incorporates a combination of precious herbs and gold, which firms and tones the facial muscles giving the face a natural ‘facelift’. SPF 25 helps neutralize UVA and UVB radiation and protects skin from sun, environmental stress and pollution. Fresh Lemongrass essential oil traditionally helps to relieve stress and uplifts the spirits. Essential oils are scientifically known to possess stress relieving properties and fragrance that can uplift your senses. The Parijat is a highly fragrant flower which opens at night to spread it’s intensely sweet yet sensuous aroma. As dawn breaks, the flower falls to the ground, forming a carpet of snow white petals, leaving you spellbound at the enchanting site. This compelling concoction makes for the perfect travel friendly carry- on. Factfully, it is charming, unisex and impactful. Since it’s cased in an easy to use solid formulation, it can be easily applied anywhere, anytime. This 100% natural perfume is made with fresh Parijat flowers infused in mango and mahua butter and is absolutely alcohol free. This nourishing Bhringraj hair oil is made from an ancient recipe, documented in the Vedas, which includes Black Sesame and virgin Coconut Oil along with Goat's Milk and Herbal Extracts. This Bhringraj hot oil treatment is very effective for hair loss and scalp problems as it aids the growth of healthy hair. Forest Essentials Cashback Promo Codes : Shop Forest Essentials Hair Care Products from Oils, Shampoos, Conditioners, Hair Masks, Hair Sprays and more. Checkout the landing page for more details. Forest Essentials Cashback Promo Offers : Now shop for Forest Essentials Soaps, Oils, Bath Essentials, Lotions, Creams, Powders and more and get up to 10% discount. Forest Essentials Cashback Coupons : Now shop Facial Care Products from Moisturisers, Age Delay, Cleansers, Toners, Exfloliators, Masques, Hydrating Gels, Eye Care and more. Forest Essentials Cashback Offers : Shop Forest Essentials Products & Services from Facial Care, Bath & Body, Hair Care, Wellness, Gifting Products. Book Forest Essentials Hotels & Spa with Beast prices. Coupon code is not required. This unique Emulsion removes blemishes and pigmentation by combining the potent properties of age-old Ayurvedic herbs, pure whole cream cow's ghee, sweet Almond oil, virgin Coconut oil and Kokum butter blended with purifying and skin lightening and brightening herbs, root and flower extracts.